Here's what you need to know when adding a fireplace from scratch. Even though this bungalow was built in 1920 it did not have a fireplace in the main living space. My client really wanted to have a one that her family could enjoy during those Michigan winters and since we definitely had the wall space, we decided add one. 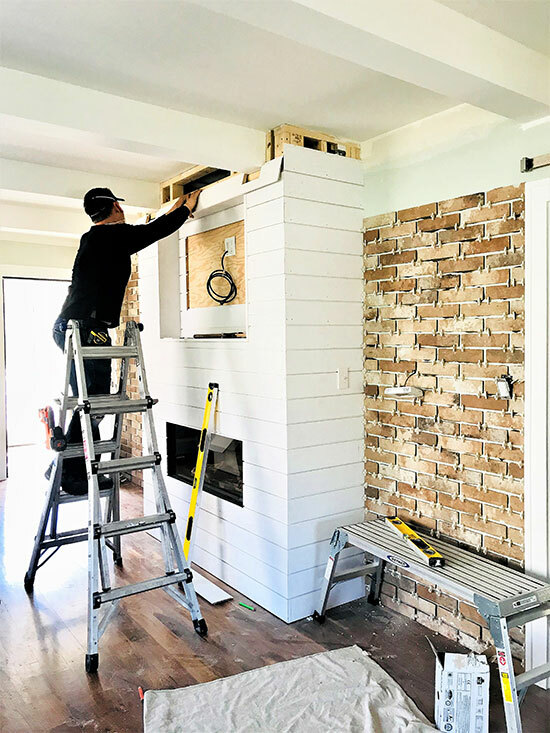 This post will give you the basics on how to build a new fireplace and share the impact this addition made to our State St. Bungalow living room. Surprisingly, the 1920s bungalow wasn’t built with a fireplace. Creating one was not only about adding functionality, it would give the living room an added focal point. The only wall able to accommodate the space needed to house the mechanicals for a new fireplace was the hallway wall which was also the backside of the living room area. But this was a great location. The attic space above was open and able to support the venting that was needed to run up into the roof. We went with a Direct Vent Gas Fireplace for this one because it didn’t require us to also build a chimney. I opted to bump out the fireplace from the wall in order to allow some room to house the television components for a cleaner and more custom look. If you have the space to build out like this, it’s also a nice way to make the fireplace a strong focal point. I switched my clients service provider over to WIFI. You can locate the receiver anywhere in the room where it can be plugged in. I always place these components in a cabinet or closet so they are neatly put away and still operate wonderfully. When you’re deciding how to build a new fireplace there are a few things to keep in mind. For a wood burning fireplace, you need to choose an outfacing perimeter wall so that you can accommodate the addition of a chimney. The easiest fireplace to install is a Direct Vent Gas Fireplace. 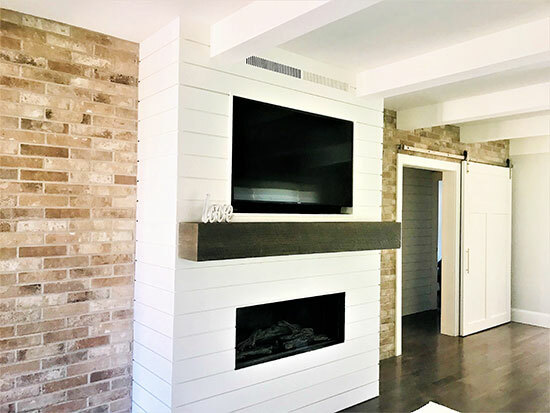 You still need wall space that is on an exterior wall to be able to do so, but this can be directly vented to the outside.The best way to figure out what fireplace works best for you is to consult with a local licensed contractor in your area. They will know all your local building codes and regulations when adding a wood or gas fireplace. 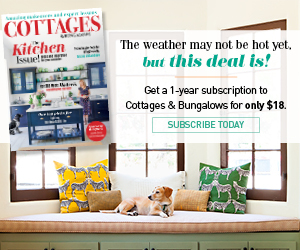 Your licensed contractor will also be able to help you decide best location and budget. We included an outlet into the back wall of the fireplace buildout to make TV installation simple. I decided to bump out the fireplace to allow for room to recess the TV into the framing– this gives us a very clean modern look. 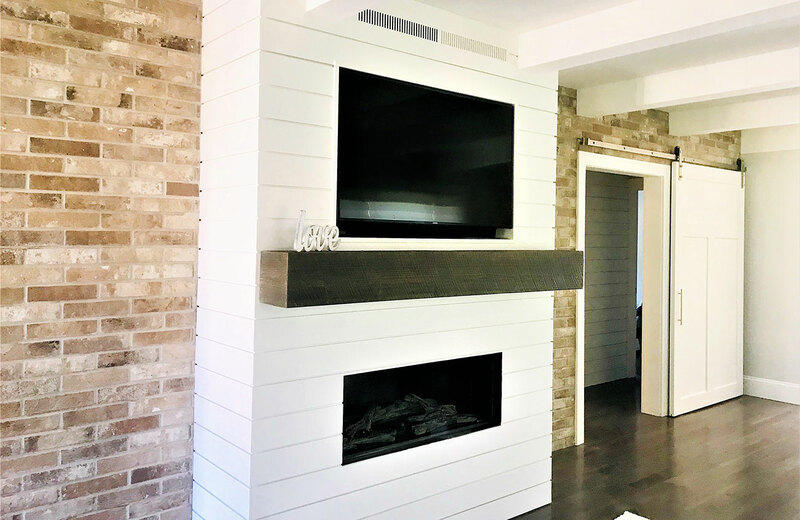 My client wanted a minimal reveal that surrounded the beautiful glass and since we were making that modern farmhouse statement throughout home, I went with shiplap top to bottom with a frameless gas fireplace. This spoke modern with an urban cottage appeal. I had a custom reclaimed wood mantel made that went the entire length of the fireplace to really pull in the full size of this new added gem. To add some vintage charisma to the room, I added brick to the rest of the wall. 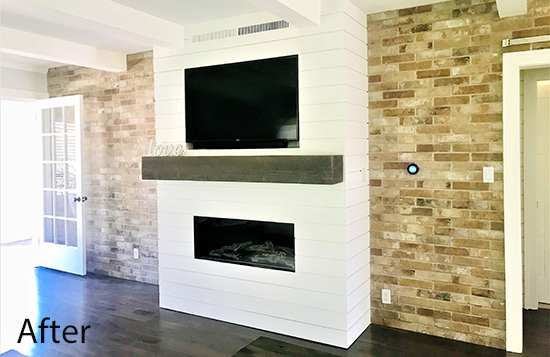 It gave the fireplace an amazing backdrop and it really pulled in the white shiplap surround. I chose barn doors for the living room entry to add another interesting feature to the room. This room needed light and since this home was older and ceilings were not as high, I had my electrician add flush can lights to the room to the sightline clear. 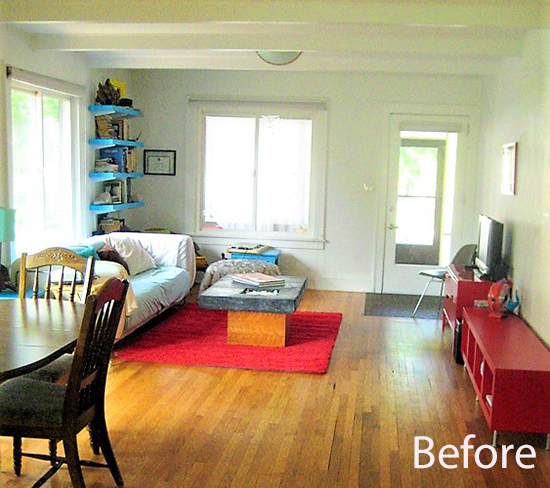 We resurfaced the hardwood floors throughout which were a dark maple honey color. Now they are a light grey beauty! The living room was open to the hallway that led to the new main level bath, master and guest bedroom. For more privacy we added a large white barn door which became an eye-catching statement. 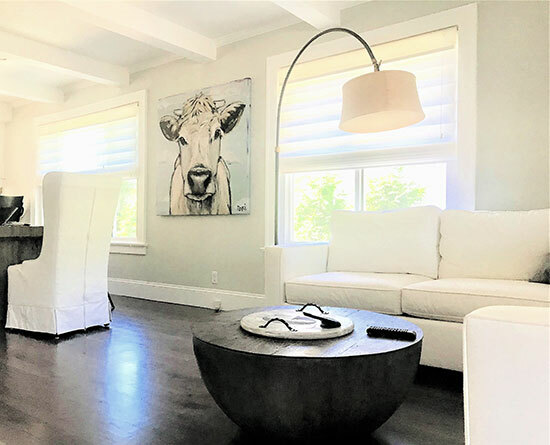 For furnishings and décor, I added a white slipcovered sectional from Pottery Barn, an oversized coffee table from Restoration Hardware, and fun large cow print from Houzz. I kept the furnishings and accents simple. The white palette along with the modern farmhouse feel give the space a fresh open vibe. What a transformation, this room now really feels warm and inviting and you want to curl up next to the fireplace with a cup of coco and a good flick! Stay tuned for more of our renovations! 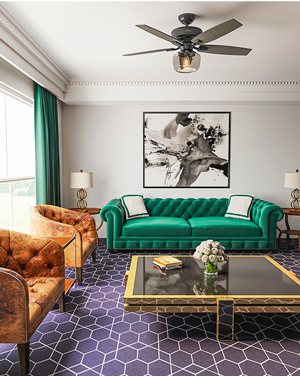 The Flippin Designer works nationwide via remote design services. Let us turn your house into a dream home! 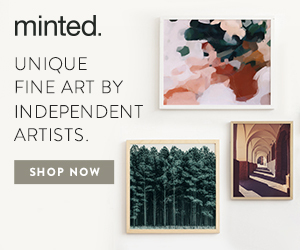 Check us out at theflippindesigner.com or follow us on Instagram & Facebook. Looking for more fireplace ideas? Check out this post all about fireplace options.